 Learn how to navigate with Roadbook! Who has not dreamed of traveling to an exciting country using a road book on a motorbike? The Bosnia Rally event will let you discover and learn navigation with a roll of paper and international FIM symbols from the very beginning. You will learn all the useful tricks and be guided through the traditional way of orientation. It is a mental and physical challenge. Whether in preparation for your next rally or as an innovative journey, it will definitely be an adventure. Feel the real balkan area close, far away from touristic and enjoy the hospitality and motorsport enthusiasm in Bosnia. 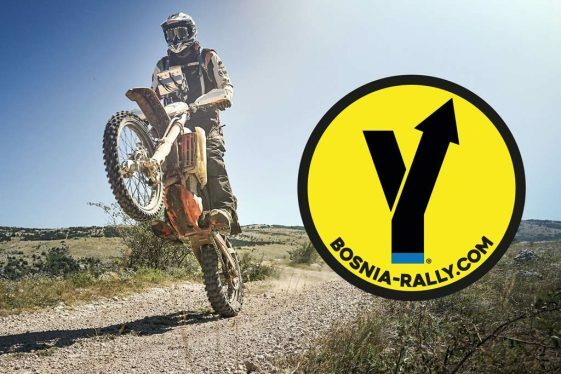 Share the fascination of the Bosnia Rally event as a beginner or PRO, with your big Enduro or your Rally bike. Many of our participants use this opportunity to test their equipment or bike setup here. The event instructors will spend a lot of time on correct navigation skills and show you the latest products and innovations from their partners during the rally. Also, it is very important to get POIs such as Overview Mostar, Stop for coffee or Photo points marked in your road book. At the end, it is up to each rider how he create his day in the outback. The most important thing is mental strength!